I’m not one to brag, but at least mine is bigger, Tolkien. Mankind has spent the past week clapping itself on its collective, metaphorical back for their ability to lob a piano-sized apparatus of metal and plastics a few measly billion miles across its lone solar system and getting a few snapshots of Pluto- by which I mean Yuggoth. In an obvious bit of appeasement, the “scientists” at NASA quickly named one of the blurry features of this remote ice-ball ‘Cthulhu’. I suppose I am expected to feel flattered by this and forswear devouring their sanity when the stars are once again aright? Well I think not, sir! You might not entirely understand my furor and upset over this. After all, for most mortals I am sure that it would be quite the high honor to have part of an astronomical body named after them. It is less exciting when you are an ageless being who has traveled the heartless void for aeons and witnessed the births and deaths of countless stars. And I think that even some of you humans might feel slighted to have nothing more than a dark spot on a “dwarf” planet named after them. You have given false names to many of your closest neighbors already, designating them after the delusions of old Romans and Greeks. Fine do what you will there, but if you give the names of such recent and weak gods to full planets, why should an Elder God such as I be so limited to a single dark spot? Another issue, which I am sure is less comprehensible to the feeble minds of humanity, is that having a feature on Pluto named after me is a bit personally awkward. 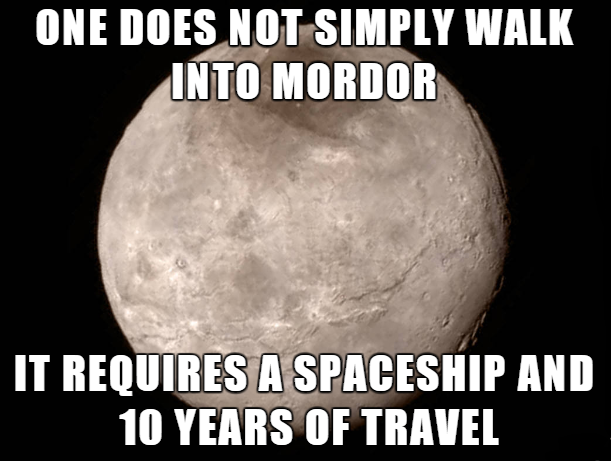 Pluto is not really Pluto. Pluto is not some empty ice-desert world that humanity can just stamp a name onto. 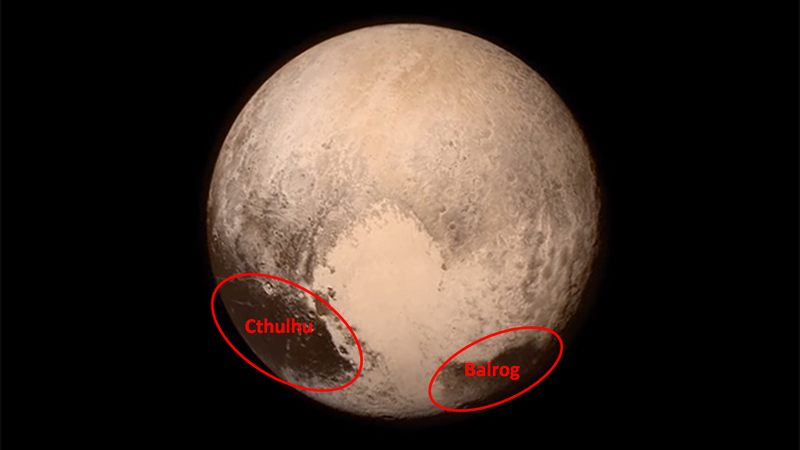 Pluto is actually Yuggoth, the home of a race of beings older and more puissant than any on Earth. Except for me. And also the Elder Things down in Antarctica. Oh, and don’t forget the remnants of the Great Race of Yith that are still hanging about. The point is, the inhabitants of Yuggoth are definitely much older and cosmically important than humans. Now the Mi-Go of Yuggoth and I have not always been on what you would call the best of terms. I don’t want to go into the details of it all, but frankly the Mi-Go are weird and creepy. They’re not even proper creatures but actually a type of fungi. That’s weird. All fungi are weird and that’s why I refuse to eat mushrooms, but the Mi-Go decided to go and be extra weird just because. They like to kidnap humans and transplant their brains into tubes. Who does that? Why would anyone want to? Human brains aren’t even all that worthwhile or tasty. Its much more reasonable to just drive a human insane and feast on the tastiness of that shattered sanity. Tubes? I don’t have time for that nonsense. I am not advocating that humanity send a swarm of nuclear weapons to eliminate the Mi-Go. I am definitely not saying that. If I wanted them wiped out I could do it. I mean once the stars were right I could definitely do it. But I’m not looking to start a genocide against them. I mean nobody would miss them- they aren’t well liked by any of the Elder Gods or any other race that actually matters in the universe. OK, so Nyarlathotep got some of them to worship him so he might be annoyed, but I’m more than a little annoyed with Nyar myself right now and all the crap he put Arissa through. If you humans wanted to take it on yourselves to wipe out the crustacean-fungoid beings living on the ninth planet of your solar system, then by all means go for. I’d really like to help but I just need to focus on my writing right now. What I am trying to say is that it is just awkward that humanity has decided to “honor” me by naming part of another race’s planet after me. Taken all in all, this entire experience has been… I guess a bit of a wash. It is always nice to get a bit of respect from the collective mass of insignificance that is the human race, but I just wish you would all put a little more thought into these things. Also, why is it that Tolkien gets both “Balrog” and “Mordor” named for his creations? It only seems fair that NASA add “R’Lyeh” to the list of names for landscape features on Pluto and its moon Charon. 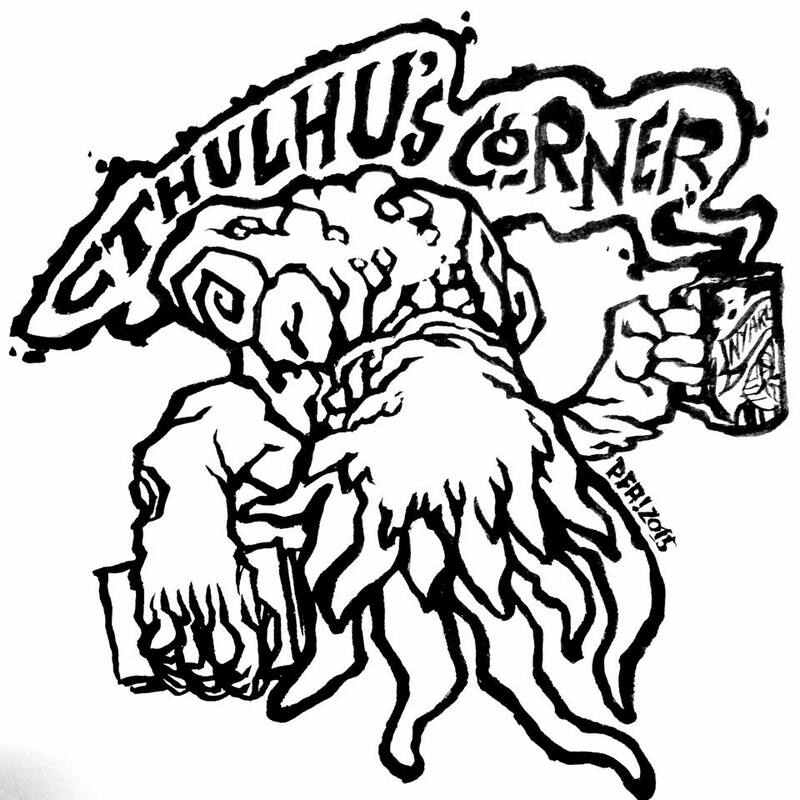 Cthulhu's Corner, Do The Science!